Looking for the latest lawn care tips and trends? You have come to the right place. You will find detailed information for everything from zoysia to fescue and organics to conventional fertilizers and much more. Subscribe buttons for the blog (Orange RSS Button) are in the left hand navigation panel below the menu. Right click on RSS to subscribe to the blog. If you're not familiar with Blogs or RSS, or if you don't have an RSS reader, click on the question mark where it says "Subscribe to This Site" to get started. 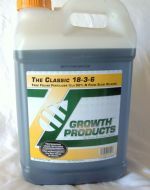 Growth Products Fertilizer is now on our website. What is Growth Products? Growth Products is a top quality fertilizer and research company that produces the highest quality products for the Pro sports turf managers, sod growers and commercial lawn care companies. Now it is available to homeowners as well. You know when you are using Growth Products you are using the same products that the best golf courses use. Golf course managers often "spoon feed" greens feeding them once a week, just a few ounces per gallon, but for home lawns you can go much heavier. The 50% slow release will keep feeding the lawn for several weeks. Find out why Growth Products are the top fertilizer used by many of the pros. Click the link for more information. 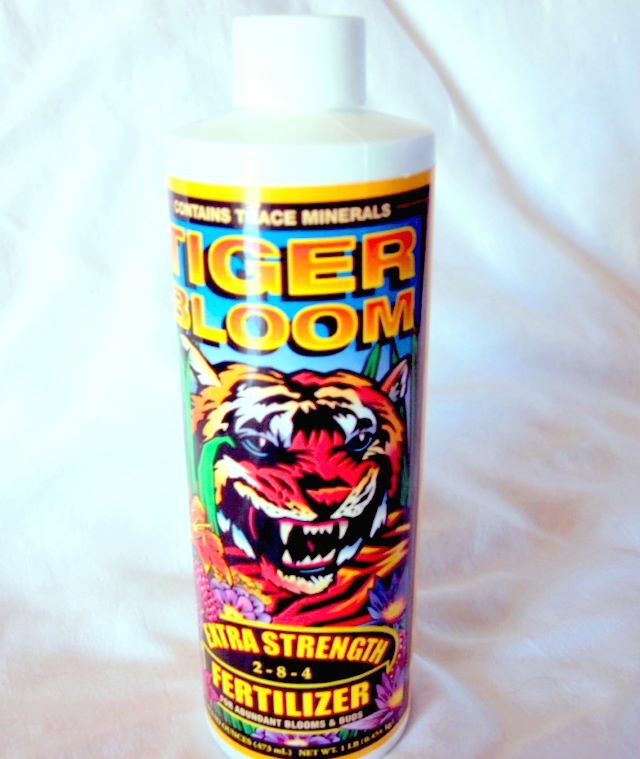 Continue reading "Growth Products Fertilizer"
Continue reading "Growth Products 18-3-6 Classic Fertilizer"
Continue reading "Tiger Bloom Fertilizer"
Continue reading "Submitted Pricing Questions for Lawn Care"
Most fertilizer companies understand that a green lawn is their primary selling point. Giving you green is their money in the bank. What is wrong with that? We all want a dark green lawn, right? They know most homeowners know nothing about what their grass needs or when it needs it or even the rate their spreader applies. 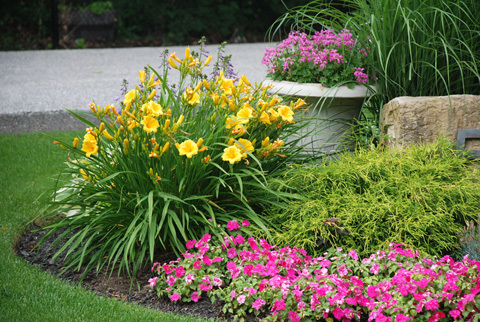 For example, most homeowners, if they only fertilize once a year will fertilize in the spring. 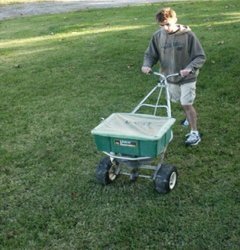 The fertilizer for cool season grasses often comes in formulations such as 32% nitrogen, etc. It is easy to over-fertilize and people often apply twice what is needed in spring. You get green grass that has to be mowed three times a week for a while. Too much nitrogen pushes growth at the expense of the grass. But the fertilizer company gave you a green lawn where people are often delivering 1 lb of nitrogen per 1000 sq. ft. In reality, the spring fertilization only calls for about 1/2 a lb of nitrogen at most. The goal in spring is to replace the nitrogen used during the surge growth. 3/4 of the total nitrogen applications are applied in the fall for cool season grass, not spring. On our site, we give the mathematical formulas to make it simple. Regardless of what the nitrogen content of the bag says, you can put down the exact amount you need. Click on the link below for more information on fertilizer rates. Continue reading "Fertilizer Companies Mindset VS Facts"
Did You Know this Important Fact About Grass? Did you know that for cool season grass, after you put the mower away for the year, the grass roots are still very active? Up until the soil temps dip into the 30's. In fact, up to one l lb of nitrogen per 1000 ft is applied now. 75% of the totoal nitrogen is applied in the fall for cool season grasses. The roots are taking in large amounts of nutrients so it will have enough energy to begin the surge growth that takes place in spring. Cool season grasses, like fescue, bluegrass, perennial ryegrass and others are going to start growing in early spring whether you want it to or not. It is part of the grass genetics. Putting down the highest single application of nitrogen now ensures it has all it needs to start the spring growth without sacrificing plant health to do it. On the contrary, most warm season grasses, like Bermudagrass, zoysia, etc go dormant in fall and they take on no nutrients after they have gone dormant. They won't start growing until the soil temps rise enough in spring. For warm season grasses, you don't start fertilization until they start to grow in spring. Continue reading "Did You Know this Important Fact About Grass?" 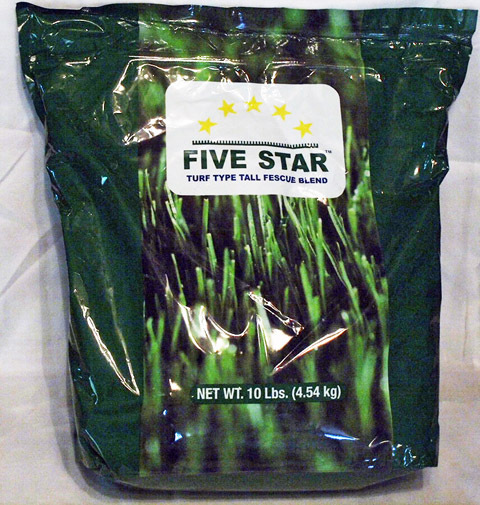 We have just gotten in our last shipment of the year of 5 Star Turf Type Tall Fescue grass seed. It is mid-October and there is still time to plant cool season grass. It is a high quality professional grass seed that produces a dark green, low growing Turf-Type Tall Fescue turf. We have plenty but it is going fast. If you have any questions about our seed, please let me know. We will have more seed in early spring. There is no substitute for a beautiful looking lawn. It raises home values and looks incredible. The best time to plant 5 Star Tall Fescue is in the fall. The second best time is in the spring. Cool season grasses need the fall to start growing, over-winter and then finish growing in the spring so it develops deep roots to withstand the summer heat. If you plant in the spring, be sure not to use any pre-emergents or it won't germinate. Plant as soon as the soil temps reach 55 degrees. Continue reading "'Tis The Season for Planting 5 Star Grass Seed"
Did you know that up to 80% of the grain and corn on the market is GMO (genetically modified organism) for increased crop size and bushels per acre, etc. Many countries have banned GMOs for health concerns and for good reason. Once a plant is genetically modified it cannot be unmodified. All natural AgriGro provides many of the same results as GMO users, i.e. disease resistance, plant health, nutrient uptake, increased crop size and bushels per acre, but without the harmful side effects. This is scientifically tested and proven by several universities and by farmers around the world. Check it out yourself and see. 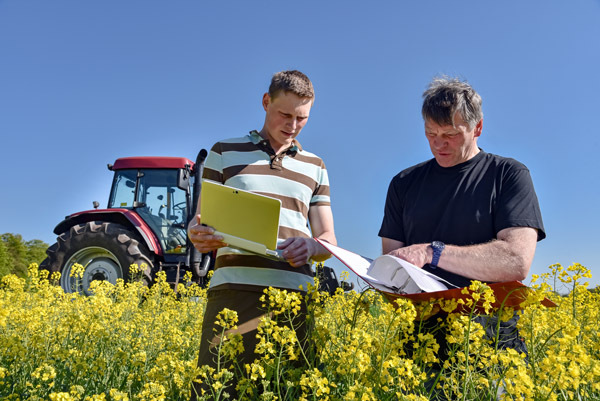 Continue reading "Tip of the Week: GMOs Vs AgriGro"
More howeowners and even farmers are going organic. This is a good thing. Compost tea is one product I often hear people using. Compost tea makers and formulas are popular and compost tea use has a big following. But how good are they? While some people swear by them, others and even researches have mixed results. Through a specific process involving constant aeration, molasses, and other ingredients, compost teas develop an abundance of microorganisms that is poured onto the soil. The idea behind compost tea is these microbes multiply first in a bucket and even more in the soil. Then, this addition benefits plants and stimulates growth. But the benefit of the tea is that it contain live bacteria that usually has no shelf life, therefore, they must be made using specific equipment and must be used immediately once the aerator is turned off or the microbes will die, often within minutes, or it will have little effect. Important Bedrock Soil Microbiology Truth. The Environment Selects - This is something that is learned by first year biology students, but is not well-known by most people outside of that. Microbes that are in the compost tea will only survive if the soil chemistry is precisely what the bacteria need to survive, feed, multiply and grow. Even slight variations in soil chemistry are enough to select some while other bacteria die off. Is the idea of compost tea or soil microbes an interest to you? For detailed information on Microorganisms in Soil please Click Here. Continue reading "Compost Tea - The Good and The Bad"
Did you know there is a rule for applying chemicals, fertilizer, etc on your lawn or pastures during times of summer heat stress? It is called the "150 Rule". The rule states that if the temperature and humidity added together is 150 or more do not apply anything to your lawn. The chances of burning the grass is multiplied significantly at this point. What if you have to add something during the hottest part of the year? Only do it if absolutely necessary. Do it in the morning when temperatures are coolest. Apply water afterwards if it calls for it or if product is not compromised by adding water to grass. Also, try watering in the middle of the day to cool turf and help lower stress levels in the grass. Continue reading "Summer Heat and Applying Lawn Chemicals"
Ever wondered why some grasses die back or go dormant in summer while others thrive? It is part of the genetics of grass. Knowing what grasses can thrive and what types do not is important if you live in a hot dry climate. Building a great lawn is easy, but maintaining a beautiful lawn takes knowledge. The grass seed of many warm season grasses are extremely small. 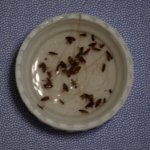 You can easily fit hundreds of Bermuda or Zoysia seeds in a teaspoon. To pour the contents of a bag of grass seed into a spreader and hope to get an accurate spread is nearly impossible. So what do you do? One secret to getting a good spread us using sand. In a bucket pour some sand then add seed and mix thoroughly. Then spreading the right amount of seed per 1000 sq ft is easy. For this to work, it takes more than knowing how much grass seed you need per 1000 sq. ft, you also need to know or be able to adjust accurately the amount of material your spreader applies in a 1000 sq. ft. All this information is on this website. Continue reading "Spreading Grass Seed in a Rotary Spreader"
Continue reading "Donate for a Cause"
Many places around the country are experiencing lots of rain. In addition, many of those I talk to have no idea that watering your grass every single night is a major reason for many soil born, root rotting grass diseases. Pythium is one of them. It is primarily a summer disease. Pythium Blight is one of the worst diseases because of how quickly it spreads. It is often said that it is the only disease that you can actually see spreading. It is a form of pathogenic mold. The spots that form are most obvious and are even worse in thick green lawns. They start at 1 to 4 inches in diameter and can follow the flow of water making long streaks. Too much moisture is a major cause. Follow good watering habits and do not over-fertilize your lawn. Continue reading "Pythium Blight Disease on the Rise"
Continue reading "Answer to Pythium Blight Lawn Disease"
Continue reading "The Types of Microorganisms in Soil"
Lawn weeds can spread quickly and can ruin the appearance of your lawn. Find out what it takes to control them. Continue reading "All About Lawn Weeds"
Did you know that in well aerated, oxygen rich soils certain aerobic bacteria will take atmospheric Nitrogen and convert it to Nitrogen plants can use. In compacted or wet and saturated soils where oxygen is low, anaerobic bacteria will reverse the process and take soil nitrogen and convert it to atmospheric nitrogen. It is important to maintain well-drained and aerated soils so nitrogen is naturally present in the soil. Continue reading "Did You Know...?" Did you know honey bees do not see the color red. They do not have a photoreceptor for that color. If you are planting flowers to attract honey bees, remember they only see 6 colors - all within the ultraviolet range to include yellow (though not well) - blues - violets - and greens range. Most can also see white. So how do bees find nectar in red flowers. The flower itself often has a road map imprinted on the petals that is invisible to humans. This map can be seen in ultraviolet light that bees can see. 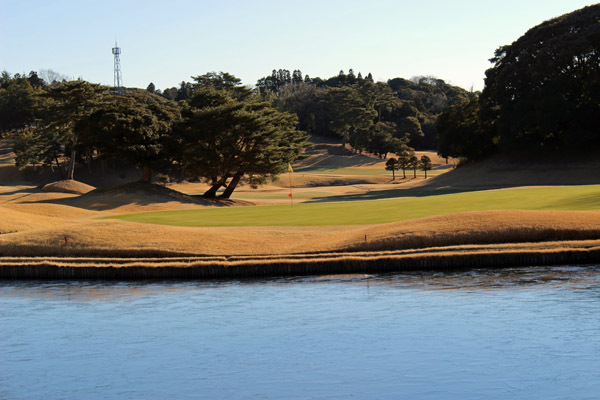 Continue reading "Fun Fact: Honey Bees Do Not See Color Red"
Fun Fact: Bentgrass is a wonderful grass, is cut extremely short, and is the one of the deciding factors between an average golf course and a fantastic one. Did you know that Bentgrass, used on golf greens, does not have the ability under normal conditions to endure high summer heat, especially in the south. Not without being micro-managed. Yet, it is used on golf greens. Why?? Golf greens are high maintenance and receive attention on a daily basis. In summer they can get attention several times a day. This extreme attention to detail by experienced turf managers is why it is used on greens and why it can survive where it was never intended to be grown. Continue reading "Fun Fact: Bentgrass and the South"
A common myth is that you can lower your grass cutting height to look like a golf course. Find out why this can harm or even kill your grass. Continue reading "Myth #4: Grass Cutting Height - Mowing Low for a Golf Course Look"
Getting rid of fleas can be a daunting task even when done properly. Success will always depend on your chosen methods and materials used. Continue reading "Getting Rid of Fleas "
Over wintering koi properly can keep your fish healthy year after year. Learn important tips that will help make the transition easier. Continue reading "Over Wintering Koi and Goldfish in Backyard Garden Ponds"
Wild onions and wild garlic are cool season perennial grass-like weeds. They stand out in lawns, because they grow faster than the surrounding grass and are difficult to control. Continue reading "Wild Onions and Wild Garlic Lawn Weeds"
Continue reading "Biology of Grass Seed Germination - Steps of Seed Germination"
Humic acid is one of the most important components of organic matter. It is a bio-stimulant that benefits plants including stimulating root growth and increase photosynthesis. Continue reading "Benefits of Humic Acid"
Spring is on its way and it is time to start spraying Agri-Gro's Liquid Calcium. Agri-Gro's Liquid Calcium provides immediately available calcium that plants can absorb and use. It also contains organic acids that breaks down unavailable calcium in the soil so it too can be used by plants. University studies have shown that one gallon of liquid calcium was equivalent to 500 lbs of lime due to the organic acids that break down calcium in the soil. So whether you are planting food plots for deer, growing hay or field crops, or orchards, you need to start planning now. 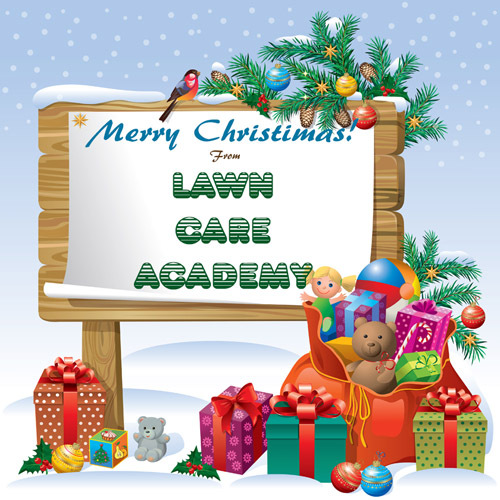 For more information, please contact Lawn Care Academy. Our contact pages has all the information for reaching us. Continue reading "Time to Begin Spraying Pastures and Orchards with Calcium"
If it is in the dead of winter and you are looking out across lawns or fields and see both green and tan grass, most likely it is showing two different categories of grasses. Cool Season Grasses have the ability to stay green far into the winter. In mild winters, they may be green until spring. Why is this? It is the genetic make-up of the plant. Even during the winter the roots may still be taking on nutrients. While the green tops may not be growing, there is still a lot going on inside the plant. On the other hand, Warm Season Grasses will go dormant in the fall and turn brown. Very little is happening inside the plant. No amount of fertilizer will make dormant grass turn green in winter. The exception is St. Augustine Grass and others that grow so far south they never go dormant. Where both Cool Season Grass and Warm Season Grasses are grown together you will see some green grass and some tan grass. On high quality sports fields and golf courses where two or more different species are grown, you can clearly see the different types. The picture on the left shows where the greens are a cool season grass and the rough is a warm season grass. This makes the greens more playable and the sharp distinction leaves no question about where to place the ball. Many southern home lawns will overseed warm season bermudagrass with cool season ryegrass so the lawn has some green color in winter. For more information about grass types, please Click Here. 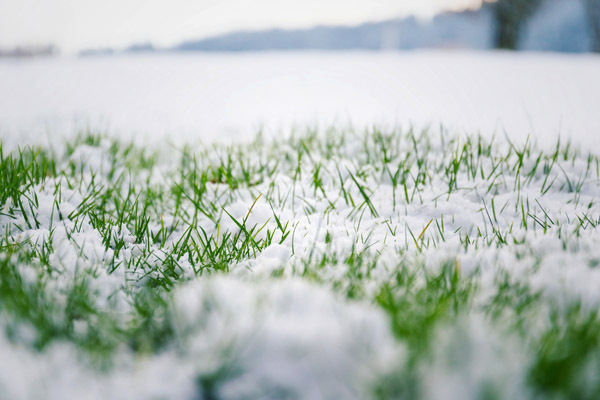 Continue reading "Why is There Both Green Grass and Tan Grass in Winter Lawns"
Now is the time to check your mower and equipment to make sure it is running well. Most people don't think about the mower until spring. If is doesn't start or needs repair they call the shop. The problem is they are behind by several weeks by then. To avoid the rush on getting it repaired, especially when grass is growing and needing cut, go out and check things over now. If your mower is sluggish to start try placing a "Battery Tender" on it. It looks like a small electric charger, but it works differently. The Battery Tender doesn't switch off when the battery is fully charged, but switches to "Float Mode". As the cold starts to consume the battery's power again, the battery tender switches back on. 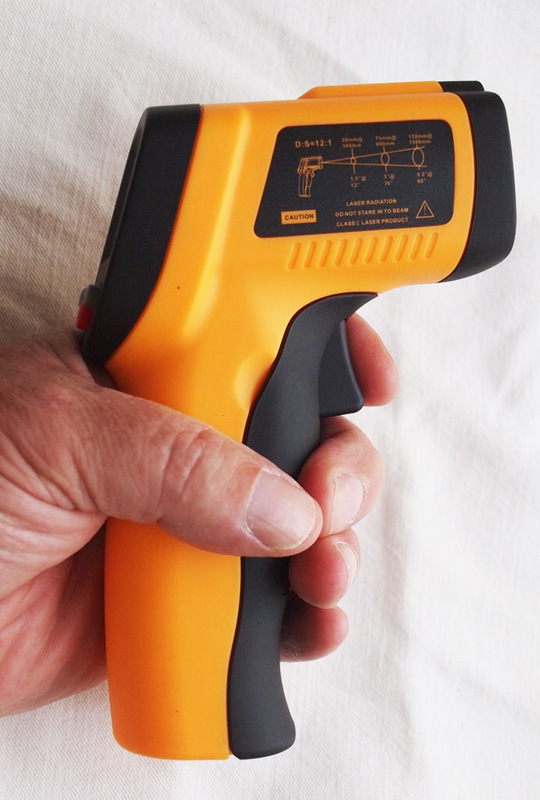 It can be left on all winter without harming the battery. Make sure your gas has a stabilizer in it. I know it is already February and it should have been added by now, but it may be another two months before you are ready to mow. It is better now than to wait until spring. Does your mower need new tires, belts or blades sharpened? Now is a good time to take care of it. If anything looks like it is going to be a problem, you can fix it or bring it in to your mechanic to be fixed. Don't wait until spring to find this out or you could have a long wait. Continue reading "Lawn Care Tip: Now's the Time to Check Your Mower and Equipment"
Many myths have surfaced about fertilizer numbers and many think they are not important. Here is a revealing look at them and how you can use them properly. Continue reading "Myth About Fertilizer Numbers and Why They Are Important"
Agri-Gro's Turf Formula and Foliar Blend Prebiotic Soil Enhancers are incredible. 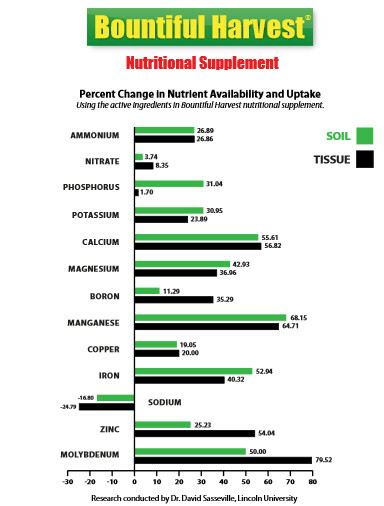 These products will deliver more nutrients to the plants while decreasing sodium, which is essential for plant health. One strategic goals in developing these formulas was to dramatically increase root mass of plants and grasses. How can it do this? These products cause an explosion of activity and numbers in your soil's current microbial population. In fact, it has be shown to increase the numbers by 3500% in 24 hours after application and by 5000% in 72 afters after application, demonstrated by the University of Missouri/Columbia. This activity breaks down soil elements faster as well as adding complex carbohydrates and amino acids and enzymes needed by plants. It also decreased disease pathogens by 35%over control plots. There means more efficient photosynthesis, increased uptake of nutrients and moisture, and an increase in root development plus much more. Healthy plants survive the elements, insect and disease pressure better. Less money on fungicides or chemicals is better for the environment and your pocketbook as well. Golf courses have been able use 35% less fertilizer and less preventative chemicals, all while producing better turf conditions. For farms, healthier plants mean producing better yields, more fruit, and higher quality grass with less money. These products pay for themselves in increased profit and less preventative maintenance. At only a quart per acre, it will go a long way. Don't take our word for it, check it out for yourselves. Click Here for more information on what Agrigro has to offer. Continue reading "Lab Graph Showing AgriGro's Proven Results"
Compost Tea - Good or Bad? More howeowners and even farmers are going organic. This is a good thing. But compost tea is one product I often hear people using. Compost teas deliver an abundance of microorganisms to the soil. The idea is these microbes multiply first in a bucket and then in the soil. This addition benefits plants and stimulates growth. But the teas contain live bacteria and usually have no shelf life, they must be made using specific equipment and must be used immediately or the microbes will die and it will have little effect. Microbes that are in the compost tea will only survive if the soil chemistry is precisely what the bacteria need to survive, feed, multiply and grow. Continue reading "Compost Tea - Good or Bad?" Is it possible to increase microorganisms in soil by simply adding more microbes? It is a popular trend. For the answer, read the myths and facts about soil microbes. Continue reading "Myth: Increasing Microorganisms in Soil By Adding More Microbes"
In winter kayaking, the most important thing you can prepare for is the chance you might fall into the water. Just the thought of it sends chills down my spine. Winter is a great time for kayaking, but comes with risks. Those risks are far greater than any risk you may encounter in summer. No one plans to end up in the water, but you must plan for it just in case. Just like in motorcycle riding. Ever wondered why we wear thick leather jackets? When I am on my Goldwing, the rule is you should "dress for the slide". (Cycling term for falling off the bike when in motion) No, no one plans on it but you must dress for it. It is the same in winter kayaking. The video below is showing three ways of dressing for winter kayaking and how they perform in water. Check it out. If you ever wondered what works best, well here it is. Continue reading "Testing Winter Kayak Fishing Outer Wear"
Continue reading "Cow Manure on Hayfields"
Continue reading "Alfalfa Research Using Agrigro's Foliar Blend"
Continue reading "Calcium Chloride Uses - Dispelling Myths "
It is now time to start preparing for the fall weather. It is the most important time of the year for cool season grasses. This is because 3/4 of the entire year's nitrogen is taken on in the fall. The "fall season" as far as grass is concerned begins when temps are mostly consistently in the 70's to 80's. However, you can start now preparing the soil and roots. Pick up some Bountiful Harvest or Turf Formula and begin using it to promote rapid and extensive root growth. Not only that, but it also increases beneficial microbes by the hundreds of billions that help keep diseases at bay as well as increasing organic matter, nutrients, while building better soil. Don't delay, start the process now. Continue reading "Time to Prepare for Fall"
Ignites2 naturally increases plant nutrients and plant health and more. Continue reading "Ignites2 for Improved Soil and Plant Health"
We have received many testimonies similar to this. We don't sell a lot of products, but what we do sell is because they really do work. Check out the page and get the product for yourself! 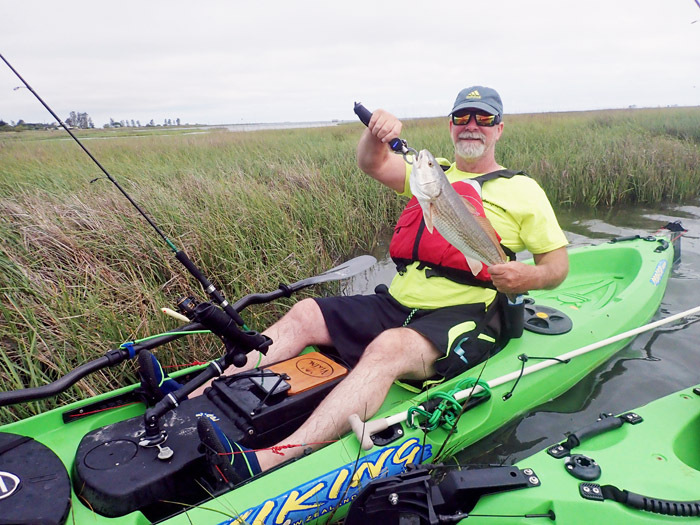 Continue reading "Turf Formula Unsolicited Testimony from 7/18/2017"
If you ever wanted to expand your horizons and live in the moment, kayak fishing for Redfish may be your answer. Whether you are new to kayaking or an old pro, Redfish is a logical choice. Redfish hunt for crabs and baitfish in shallow water, often just 6" to 18" deep. You paddle the kayak close to shore over weed beds and spend lots of time casting along the edges of the salt grass and in the channels that snake through the grass. If you are new to kayaking or have a fear of the water, you need to try shallow water redfish fishing. I am serious when I tell you that redfish, especially in spring and summer, spend much of their time feeding in such shallow water that their tails stick up in the air. Experienced fishermen know this and look for the signs of feeding redfish. Using topwater lures, kayak fishing for redfish can be one of the most enjoyable and memorable experiences you can have. Redfish are powerful fish. Once hooked they takeoff with bursts of speed that is nothing short of thrilling. These powerhouses can reach weights of over 40 lbs, but in the shallows, 5 to 10 lbs is often the max. On this trip we hired Ryan Ford, out of Rockport, Texas. (In the photo with the straw hat) Ryan has lived much of his life there and knows the fish and their habits well. Ryan got us on top of fish and we had the time of our lives. If you are new to kayaking and are worried about kayaking in salt water, do not let it concern you. Hire a guide who knows the area and can take you to the best spots. Our family is experienced at kayaking but not at redfish fishing. We highly recommend you contact Ryan. He was never more than a few feet away and was ready in an instant to assist anyone that required it. 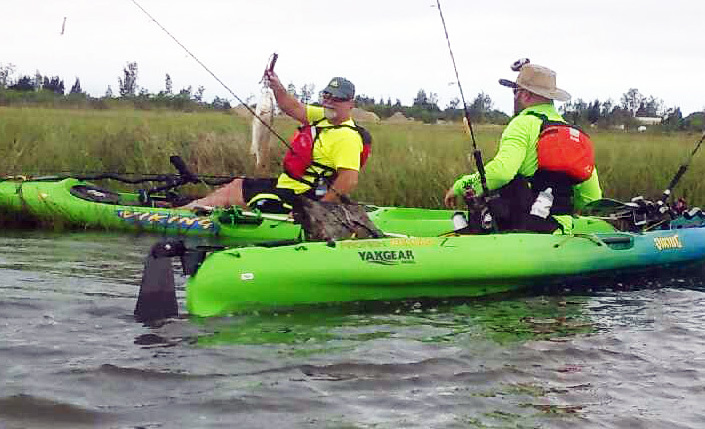 Contact Ryan at Rockport Kayak Fishing Adventrues. You will be glad you did. 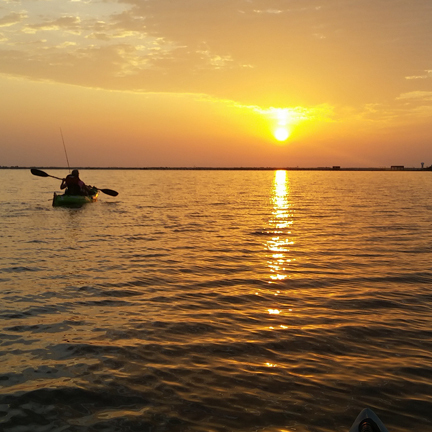 Continue reading "Kayak Fishing - Texas Style"
Continue reading "Soil Organic Matter in Pastures"
Peach trees, apple trees and more, whether commercial or backyard orchards cannot produce great crops on their own. They need help. 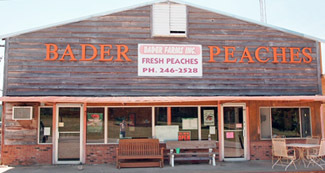 Bill Bader, the owner of the largest peach orchard in the Midwest, over 110,000 peach trees has shared with me his secrets to great success. In an interview, he reveals what has brought him fame and fortune with some of the finest peaches in the country. Click the link below to see exactly how he achieved his success and also reveals some of his organic approach trade secrets that really work and save money. If you need more help, contact me. We are always willing to help. Keeping our promise to give you the best and valuable information for the best lawns, pastures and trees! 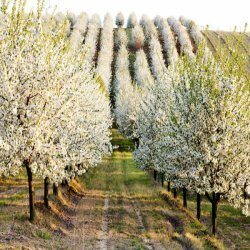 Continue reading "Commercial and Backyard Orchards - What You Need to Know for a Great Crop"
3. You can write or speak lawn-care-academy.com with the dashes if you choose. Lawn Care Academy is one of the top lawn care information websites on the web. We also specialize in farms where we can assist farmers in hay production. Visit us and see what we have to offer in helping you attain the best lawn around. Continue reading "Easy Ways To Access Lawn Care Academy"
Continue reading "Turf-Type Tall Fescue Grass Seed"
Continue reading "Infrared Laser Temperature Gun"
Continue reading "Benefits of Agri-Cal Calcium on Pastures and Turf"
Bountiful Harvest Biostimulant vs Take-All Root Rot - See the Results! Bountiful Harvest Biostimulant and soil enhancer is truly an amazing product. One of the proven aspects of Bountiful Harvest as well as all the other biostimulants made by Agri-Gro is their ability to tremendously increase soil microbial activity, enhance disease resistance, increase root development and photosynthesis efficiency and more. University research has shown an increase by 3400% microbial activity in just 24 hours after application. Charles H., near Baton Rouge, LA had almost completely lost his lawn to Take-All Root Rot, a devastating lawn disease that affects many grasses, including his St. Augustine Grass. For 4 years this disease took more and more of his lawn. The pathogens live in the soil so replacing the grass only gives the disease a new food source. I talked to Charles on the phone and he told me that after using the product last year the disease was suppressed by at least 80% and his lawn looks better than it ever has. Bountiful Harvest biostimulant, Turf Formula, Foliar Blend, and Ignite2 are all natural soil and microbial enhancers. The incredible increase in beneficial microbial activity speed the breakdown of essential elements in the soil and release microbial by-products that plants need to stay healthy. Plus, many of the beneficial microbes whose activity and numbers have been increased feed on pathogenic microbes that cause disease. These products are NOT compost teas, fish emulsion, or other products whose affects are questionable. These are proprietorial organic blends used by thousands of farms, orchards, sports fields and by homeowners around the world with incredible results. Don't wait until you have problems with your lawn or trees. When used proactively, they will help prevent any problems, increase root development, increase disease resistance, increase photosynthesis and carbohydrate production and much more. Due yourself a favor and try these products. Our website has exclusive information on original test results and beyond and results of university studies. If you have any questions, please don't hesitate to contact me. Continue reading "Bountiful Harvest Biostimulant vs Take-All Root Rot - See the Results!"